Chassis changes render the sportier version of the refreshed Ford Kuga a little too unforgiving for Irish roads, even if the extra power and road-holding abilities are welcome. Don't be fooled; this isn't an out-and-out ST version of the Ford Kuga SUV. In common with other models in the Ford range, the ST-Line moniker acts in the same manner as an M badge on a non-Motorsport BMW, or an S line badge on an Audi. In essence, it's a trim level, though there have been some minor changes under the skin, more on which in a minute. The Kuga recently received a mid-life refresh that included new LED headlamps and a gaping grille, and the ST-Line adds body-coloured bumpers with a deeper rear 'diffuser' (I use the term loosely), along with a rear roof spoiler and some other subtle details. In the 'Frozen White' of our test car, the ST-Line verges toward the tacky-looking side of the spectrum, though in my book, white should be the very last choice for any SUV. Just don't, OK? You'll be hard pushed to notice any differences inside, the main change being the addition of the SYNC 3 infotainment screen. It works well, is intuitive to use and features both Android Auto and Apple CarPlay, but is let down by the last-gen appearance of its screen. Over the past decade, Ford's interior design and plastics haven't been in the same league as some of its rivals, and unfortunately the Kuga is no exception. As part of the ST-Line upgrades, this Kuga gets stiffer springs and anti-roll bars, along with uprated shock absorbers. While they don't turn the SUV into a corner-crazed hooligan, there's a noticeable improvement in body roll and control, albeit with the trade-off of a busy ride on patchy tarmac. The more powerful engine works well, too, especially in higher gears, while the all-wheel-drive transmission goes about its business unobtrusively, only engaging drive to the rear axle when absolutely necessary. As with the outgoing Kuga, space is generous in all departments. While it may seem churlish to complain about ride quality on a car with a sport-oriented trim level, other cars in the class manage it better than the Kuga. Coupled with uncommunicative steering (we motoring journalists will eventually stop complaining about electrically-assisted systems, though it'll be a while yet), the Kuga is not the best place to be on rougher roads. As an SUV, that's a pretty fundamental flaw. Also, this fully-loaded car is perilously close to the €50k price mark. Ford's reputation as purveyors of fine chassis holds true with this version of the Kuga, though the ride quality is unforgivable at this price point, as are some of the interior details. Not best suited to Irish roads, the ST-Line nonetheless brings with it a good level of standard equipment. Our recommendation? Stick with the Titanium or Titanium+ variants. With all the bells and whistles including adaptive headlamps, the Winter pack and other niceties, this particular car comes in at an eye-watering €48,925. Let's take a 150hp diesel version as an example: with a couple of useful options in the form of adaptive cruise control and the foot-operated tailgate (handy for shopping), it comes in at €43,480. PCP and other finance details are dependent on specification. If there is anything specific you'd like to know about the Ford Kuga that we've not covered, feel free to send us a question via the Ask Us Anything page. Ford Kuga ST-Line first drive. Ford Kuga Vignale first drive. 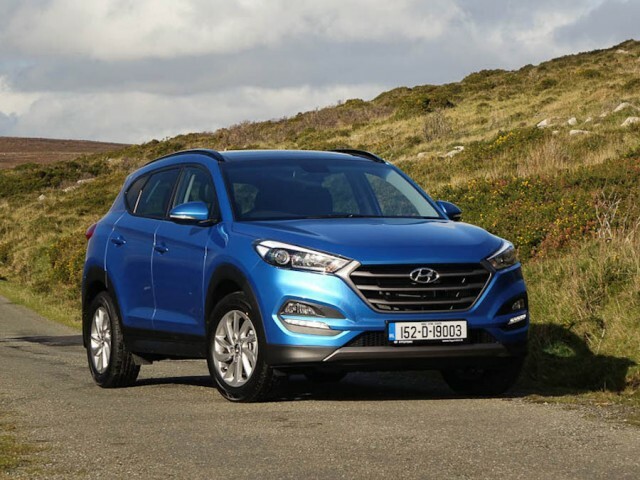 Hyundai Tucson vs. Ford Kuga ST-Line: currently Ireland's best-selling car, and with decent pricing and high specification levels it's not hard to see why. 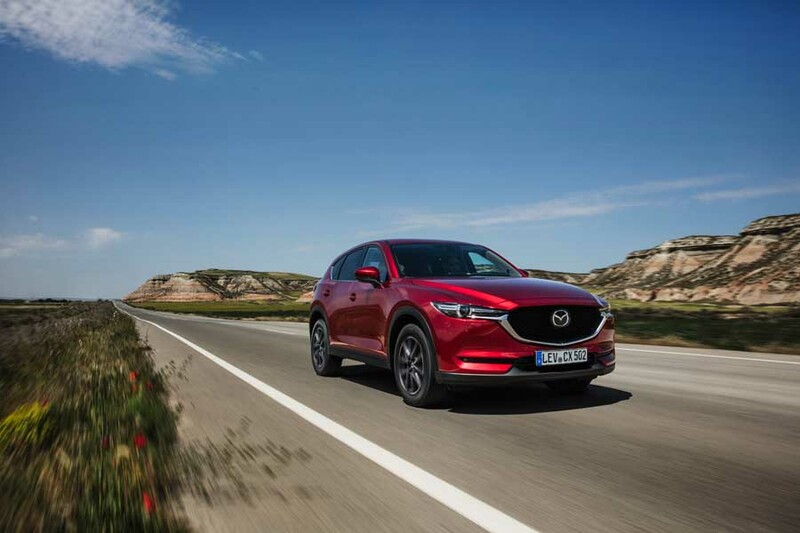 Mazda CX-5 vs. Ford Kuga ST-Line: recently launched, the new CX-5 takes a more premium approach than its segment rivals, though its handsome looks are let down slightly by a drab interior and relatively poor level of standard equipment. 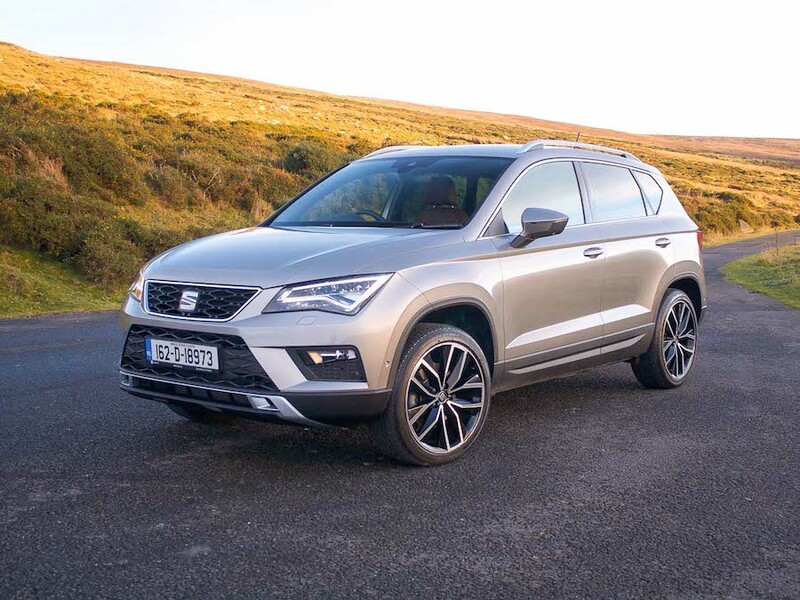 SEAT Ateca vs. Ford Kuga ST-Line: succeeds where the Kuga fails in providing an engaging drive without sacrificing too much in the way of ride quality. Arguably the best-looking car in the class, both inside and out.